We had an opportunity to chat with Adrian Lai, Managing Director at Cornerstone Management Group (Hong Kong Limited) on providing Cloud-based solutions for his wide and decent range of clients, including service based businesses, online retail, brick and mortar retail, wholesalers, and designers. The first Silver certified Xero partner in Hong Kong, Cornerstone HK is a young company. A startup themselves, they understand the pains of processes and operations in startups and SMEs, which is why they have made steady progress since the organisation was founded in October 2012. CL: What do you do as a consultant for your clients? AL: Cornerstone Hong Kong is essentially a bookkeeping and analytics firm – we do the monthly management reporting for all of our clients. We offer what you can call a ‘virtual CFO service’ to those clients which are interested so once we gather enough data points, we can start providing independent insight into their financials and performance KPIs for. That’s more of a value-add piece apart from the core product. We also try to focus on Cloud-based technology solutions because there is a good opportunity with the applications out there to create a great platform for businesses, which is a lot more cost effective than a large ERP. In a nutshell, we are accountants but we like to help our clients by understanding their front to back work flows and suggesting alternative or new pieces of software that can help them improve efficiency. CL: It seems like your clients are coming to you for not just accounting and bookkeeping services, but also recommendations for operations solutions. AL: It’s pretty difficult to separate them all nowadays because we are primarily an accounting firm; people will come to us for that service. As soon as they come in the door, I want to understand more about what they’re doing, and naturally that just leads to a conversation about different types of solutions, which are available and that they should consider. We put the client first, really. We want to make sure we’re not ‘pigeon-holing’ them and we actually understand what their business is about, getting to know all their nuances, and then explaining to them and start giving them advice on solutions which best fit them and their current state of play. It’s also about scalability as well. We want to understand where clients wish to get to at least in the next 3 to 5 years so they don’t have to change software again; it’s often quite traumatic for people. When you’re introducing a new platform or Cloud-based solution, it’s important that the client understands what’s going on, and is comfortable what it can do for their business now and also how much it can scale into the future. CL: It seems like you’re a big fan of Cloud-based solutions, why is that so? What you can achieve is information transparency that has been typically only reserved for big corporations with large budgets that can buy massive ERP systems. The beauty about most of the Cloud-based software that we’re partnering with is that they are intuitive and easy to understand. For example, you don’t want to create an interface for the client that is too difficult to understand because they won’t ever use it. If you make it simple, which is what a lot of the Cloud-based solutions are, and you have the backend working behind the scenes seamlessly, it’s so much more engaging and actually makes business fun. As a business owner, you won’t want to get bogged down trying to find out if you’re making money, or if you’re not making money, where am I making money etc. All those questions which you can achieve if you have the right information. Cloud-based solutions do provide small business owners with that sort of transparency. Another key reason is because of the speed and responsiveness of these application providers – they listen. For example, you guys at TradeGecko – you listen to what people like partners and users actually want as part of the product, and then you develop it. Practically speaking, it is not going to be an immediate thing, but these things grow organically. Since the time I first looked at TradeGecko, you guys have come leaps and bounds as well; it’s an application that we actually like. That progression is another reason why we like Cloud-based systems. CL: Do these advantages of Cloud-based solutions cater to the needs of your clients? AL: Most of them do. We try to ‘test drive’ the software and applications, and build mock up environments to really understand the capabilities, what each application can do separately, and also in combination with others, to come up with the right combination that works for our clients. CL: How adaptive and open are your clients towards Cloud-based solutions? 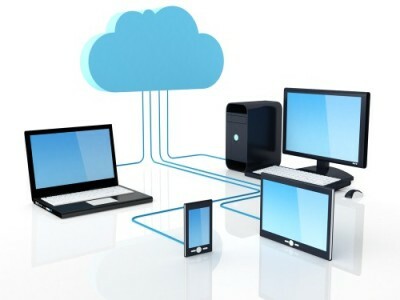 Are there any trends in integrating Cloud-based solutions to businesses in Hong Kong? AL: Over here in Hong Kong, there is absolutely a pick up, albeit a slow one. I think the momentum will catch up with other more established regions like the US, UK, Australia, and New Zealand. One of the emerging trends is that although labour is a little bit cheaper here than in other places, it’s catching up. The new age of business owners need to adapt and adopt to these new technologies so that they still need to hire people, but they hire people for more productive and value-added roles. CL: How about the more traditional types of businesses that you service? They are probably not as familiar with new technology so how do you get them to take up Cloud-based applications? AL: It’s all about understanding what the client’s barrier to change is. If a client comes to me and has identified a problem they need to change, it’s a case of what their appetite of moving into a Cloud-based platform is. Some of them don’t understand the Cloud as much as they should. I think there’s a lot of traditional ways of thinking, like how it’s much better to have your information on your own server than on somebody else’s. In terms of getting them to come on board, we don’t force clients to adopt the applications. We explain the benefits and downsides to them. It’s about weighing out right now going forward, whether you are willing to make that move over if you can achieve these efficiencies and you get this much more benefits from moving on to this Cloud platform than with your current platform. At the end of the day, these systems are for the business owner to operate and get information transparency, and if they are not comfortable using it and they don’t think it fits into their business, there is no point because they will just be resistant anyway. And typically with any consumer behaviour, if there is resistance and reluctance, you’re not going to use the software to its full potential. CL: So what are some major challenges your customers are facing? And is there any issue unique to the Hong Kong market? AL: Most of the clients do not organise their information, so it’s about understanding where the client currently is with their information, and then constructing a plan of action to try and organise that information into something they can understand. A lot of business owners have been running for a year, but they haven’t got any idea on where their real financial standpoint is. They look at their bank balance and go, “Oh yeah, it’s growing”, but that’s not a very good indicator of how healthy your business is. And on the other side of the coin, you get businesses overwhelmed with too much information. Nowadays, having the different pieces of software around helps sanitise that information and puts it in a presentable format. Of course you always need someone to help you digest that and we help our clients as part of the analytics and insight. Also, it’s not just about focusing on the financial aspects of businesses but also operational processes. Young companies I’ve seen have a lot of enthusiasm and spirit, but what typically gets forgotten is that there needs to be some sort of control, some sort of procedure and order in the middle and the back office. So that when you come up to that stage when you’re asking for funding or you want to get an extra investor in, any savvy investor is going to do their due diligence, not only behind the numbers, but also behind whether or not these guys have the checks in the right boxes so it’s actually scalable. That’s another huge challenge that I see that a lot of start ups and even established businesses have because they’ve just been running things for so long it’s hard to break that cycle. In addition, the banking infrastructure here poses a macro concern. You look at all the other regions such as the US and UK, and the banking infrastructure is quite well geared towards SMEs in terms of not only fees, but also intelligent lending, and the different types of products and services that they have available to help start ups and SMEs to get moving because they really are the lifeblood of any major economy. What I’ve found here, specifically in Hong Kong, is that there is not enough banking support in terms of really straightforward things like automated bank feeds into an accounting system. This is not new technology; it’s been around for decades. Now, why isn’t that available in Hong Kong? Why is it only coming on-board now? I know in Singapore, Xero has been working with many of the banks over there but in Hong Kong, its still dead over here. There is no automated bank feeds, and that’s just something simple that would really change the way businesses is actually done. There is very little need nowadays for a business owner to go to a branch and do their banking; everything can be done via Internet Banking. Recognising what startups and SMEs actually need at the commercial level will hopefully be the catalyst for changing the way that they’re pitching their products and services and tools for business owners to make it a lot more effective and easier. Furthermore, on top of that, is the regulatory reporting pieces over in Hong Kong. It’s about making it a lot easier and accessible for people to do their regulatory reporting. It can be done via custom software and there are portals, but they are clunky. Whereas when you look at Australia, regulatory reporting is almost like going online shopping - but you just don’t have same good feel about it, that’s all! Business owners complain a lot about how frustrating it is over here. CL: And are those areas where you guys come in as well? AL: Well at the moment, there’s not much we can do. 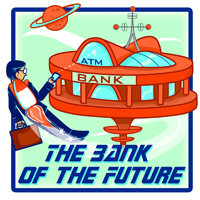 To move the banking industry is not something that can be done overnight. But for example, we provide clients with bank feed services to bridge that gap. There’s always things that we can do in terms of talking with start up groups and SME associations to try and rally up enough "signatures" to drive that change – and that’s something that we’d definitely love to become a part of. Lastly, it’s also about changing the role that accountants are playing for businesses. Around the world, we should be trusted business advisors because we observe what goes on inside your business, and we shouldn’t keep quiet about that, we should be constructive. We have the opportunity to see where you’re going well and we see where you’re doing poorly so the benefit from introducing Cloud-based solutions into the SME sectors is to be able to take the weight off the processing and to be able to use the time that you previously would have spent processing and bookkeeping to analyse the numbers that are coming and providing that trusted business advisor relationship to your clients, instead of just being the end-of-the-year tax guy. It’s still there, but there’s so much more that accountants need to start setting up and offering now.